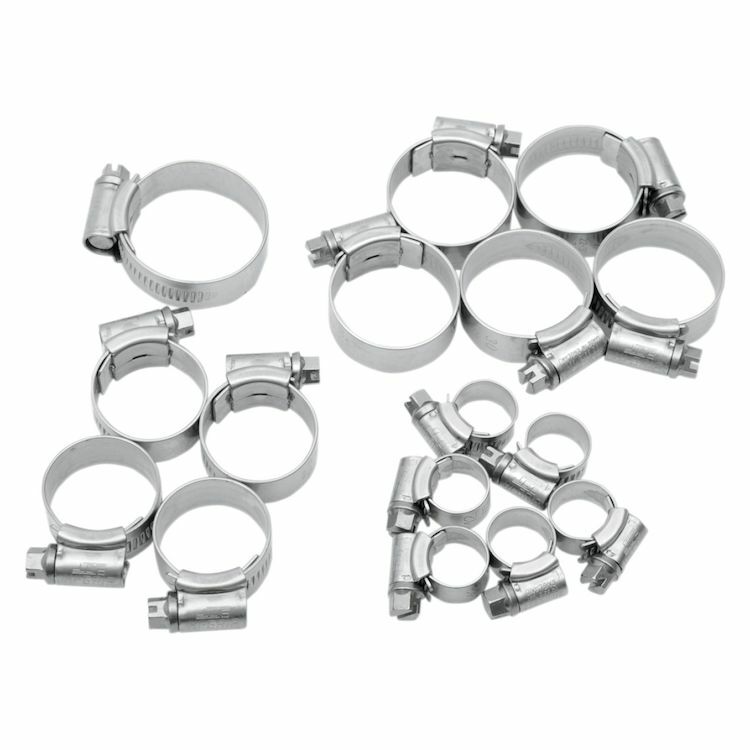 High-performance Samco Radiator Hose Clamp Kits feature marine-grade 18/8 stainless steel clamps with rounded edges, smooth inners and polished surfaces. Contains all clamps necessary to complete installation of corresponding Samco Radiator Hose Kit. Note: Image for reference only. Actual hose clamp count will vary based on your make and model.